Say your vows as Loch Awe laps the shore. 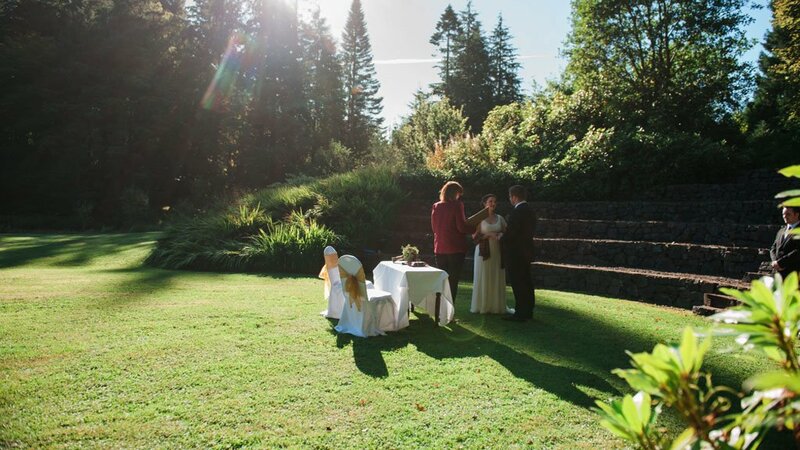 If yours is a spring, summer, or autumn wedding then our Greek style amphitheatre would be perfect for your ceremony. Situated on the shores of Loch Awe, where guest seating is cut into the natural landscape, it is unique and completely beautiful. 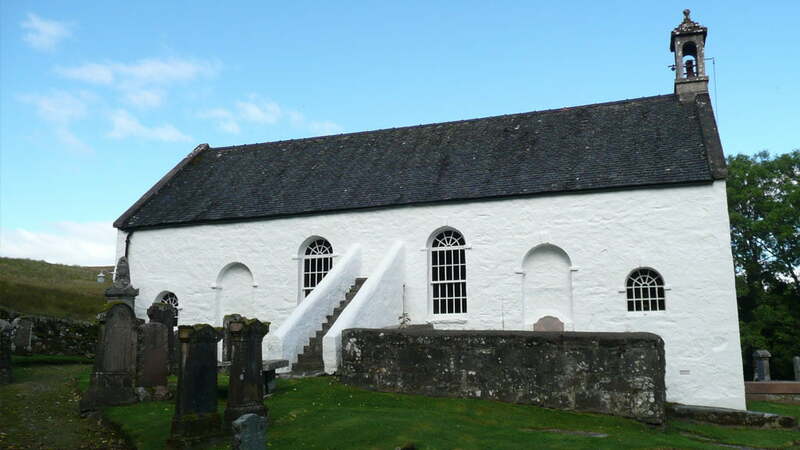 Of course, you do not have to get married at Ardanaiseig; Kilchrenan Parish Church is a quaint and beautiful building, just four miles away. It was built in 1770 but the site has been home to a church since the twelfth century. It’s perfect if you are looking for a taste of tradition and the views across the Highlands are exceptional. We will have everything ready for your reception upon your return. Large, light and ornately furnished, The Drawing Room is perfect for your ceremony. 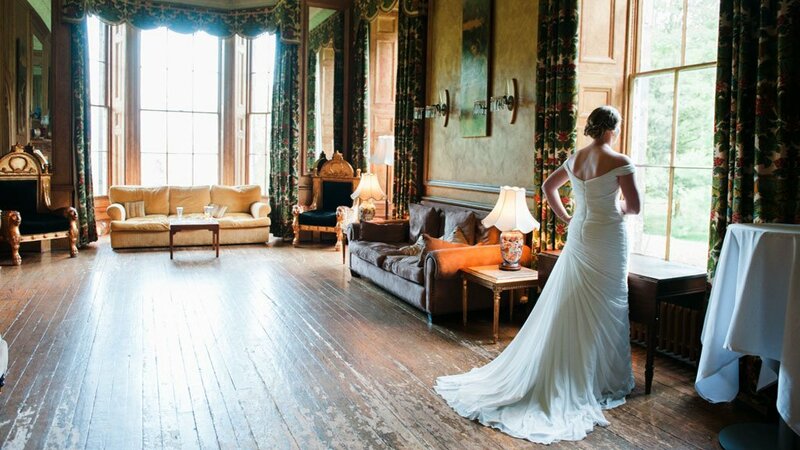 Walk down the aisle towards our enormous bay windows, offering you and your guests wonderful views across Loch Awe. Our comfortable Library room is always popular. 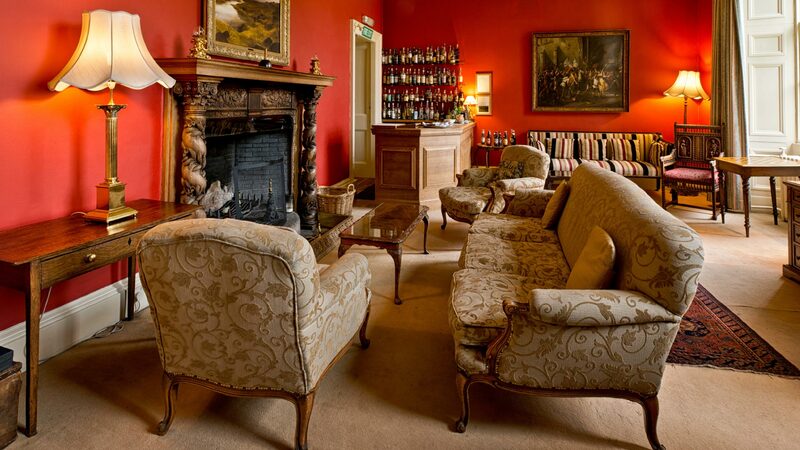 Not least because of the bar area, stocked with a worldly selection of fine wines and a connoisseur’s choice of whiskies. There’s lots of space for friends and families to make acquaintance, with views of our grounds setting the ambience as our open log fireplaces crackle quietly.